A lawyer with a growing stockpile of securities in the bank, three beautiful children, a compliant and decorative wife, and a lovely house in the suburbs, Walter Bridge has achieved all that is expected of someone of his race and background. But try as he might to control the lives of those around him, they prove perversely independent. 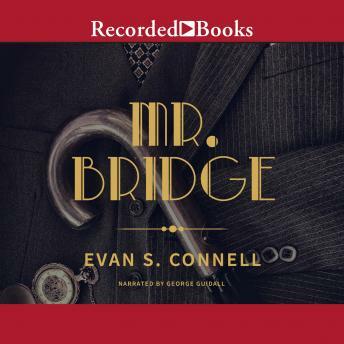 In Mr. Bridge and its companion, Mrs. Bridge, Evan S. Connell has brilliantly realized the lives of upper-middle-class Americans living in the years just before and during World War II.